There are many ways to show you care during a difficult time, and a heartwarming gift of food helps lift spirits. 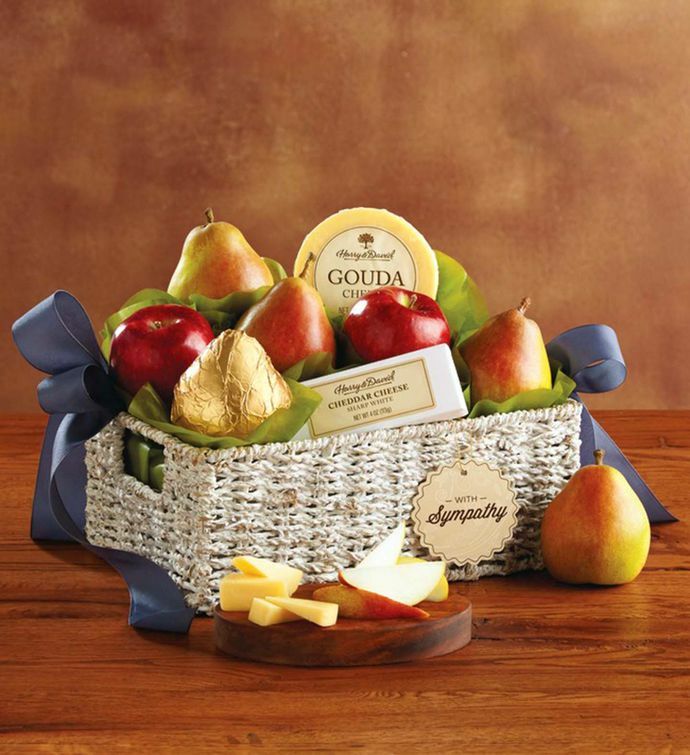 This basket includes extraordinary Royal Verano® Pears from our orchards, premium apples, and white cheddar and Gouda cheeses. The gourmet treats nestle into a reusable whitewashed seagrass basket adorned with a "With Sympathy" tag and topped with a hand-tied bow.